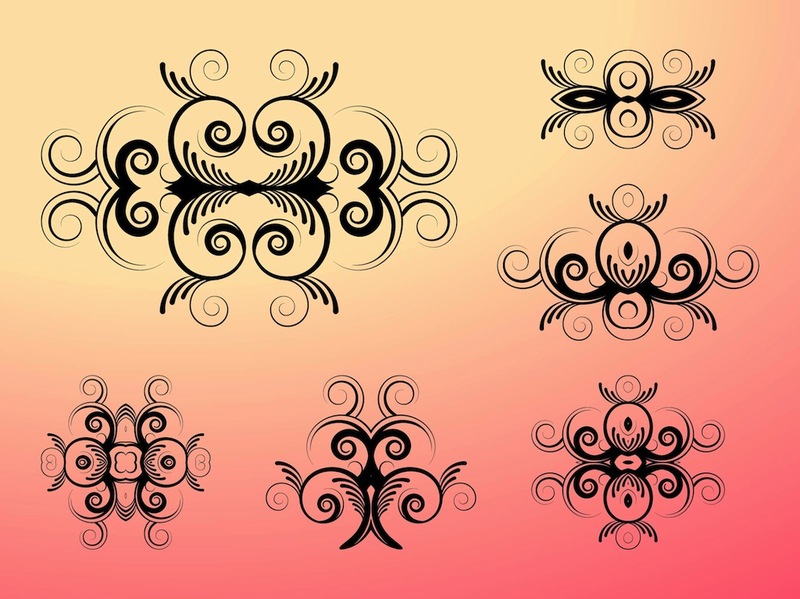 Swirling vector designs with floral motifs. Solid color graphics of various symmetrical abstract designs with swirling lines, spirals and waves. Free vector images to create tattoos, stickers, decals, clothing prints, logos and business card decorations. Download abstract art vector graphics. Tags: Decorations, Floral, Linear, Lines, Spirals, Swirls, Tattoo, Tribal, Waves.